What kind of man is above the law, beyond suspicion, and madly brilliant? Alexander Volga, a respected philanthropic billionaire, hides a murky lineage with a veil of respectability. He’s gifted with a uniquely devious and sharp mind and responsible for literally millions of lives destroyed. Sensing storm clouds of retribution approaching, Volga prepares for his ultimate deception. He invests his enormous fortune in a mind-bending effort to make his dream of immortality become a reality. An unexplainable force draws Detective Harriet O’Keefe to Volga. She’s head of a new drug enforcement agency, CRUNCH (Crime and Racketeering Unit of Narcotics-Cocaine and Heroin). “Dirty Harriet,” whose job is to track down the big chieftains of the cocaine and heroin world-the “Merchants of Powder”-finds herself dangerously close to falling for Volga’s lure. Volga’s estranged godson shares information with Harriet about his godfather’s past. Desperate to find a lead, Harriet dabbles in hypnosis and is shocked when recollections of past life confrontations with Volga are discovered. Harriet dismisses the revelations and decides to deal with Volga in the present with the realization he’s the most wanted and insidious man she ever matched wits against. With tension mounting from all sides, and uncertain of where loyalty remains, Alexander Volga sets a Machiavellian plan in motion. His digital alchemists have been working feverishly to have him immerse in an entirely synthetic alternate world—a Shangri-La, that will allow him to escape. When the countdown begins, Volga’s enemies better check their life-insurance policies…and Harriet O’Keefe, her heart. Grant Taylan is an adventurer-paleontologist also known as “The Dinosaur Detective,” a polite term for what he really does, which is track down the more dangerous criminals in the Dinosaurs Fossil Black Market and bring them to justice, sometimes the hard way. But his latest case is about to land him in the strangest situation of a lifetime: a vacation island in the South China Sea known as THE LOST WORLD OF KHARAMU. Developed by the Chinese corporation MuTron International, they’ve taken Michael Crichton’s Jurassic Park concept in a very different direction: the ultimate immersive role-playing experience tailored to only the exclusively wealthy elite. With real dinosaurs. On the resort’s first major beta run, Taylan finds himself fighting dinosaurs, Russians, Vietnamese commandos and his ex-girlfriend in the ultimate vacation gone-wrong, where only the strongest, quickest – and the luckiest – will survive. At the edge of the Solar System, beyond the Heliosphere, a massive warship comes out of Faster Than Light Transit. It is the Ancient Enemy spoken of in myths and legends. I started reading F Paul Wilson back in 1981 with The Keep, and the book remains on the top shelf, the one reserved for my favorites, to this day (along with quite a few of his other books). 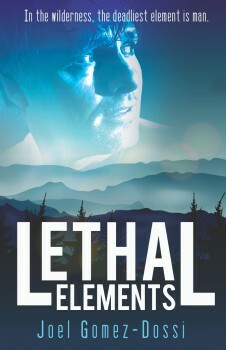 This novel kicked off the truly excellent Adversary Cycle which brought in several characters, Repairman Jack being the most famous, with 23 books at this point, from other books in a wonderful apocalyptic series. Fast forward more than 30 years and Wilson has written in nearly every genre: science fiction, fantasy, horror, young adult, a children’s Christmas book (with a monster, of course), medical thrillers and political thrillers. He has been a regular visitor to the New York Times bestseller list and has won many awards, including the Bram Stoker. The Keep was also made into an excellent movie. THE GOD GENE is the second book in the ICE Sequence which began with Panacea in 2016. I was planning on waiting for all three books before I started these, something I like to do with favourite authors so I don’t have to wait for the next piece if they leave it on a cliffhanger. Anyway, the need to do a review meant that I had to read both books in quick succession. Not a chore in any way, I can assure you. The first book introduces us to Rick and Laura as they search for the fabled panacea of legend. Despite a single cure-all being medically impossible, Assistant ME Laura Fanning finds herself with dead bodies which are in impossible condition. Her investigations lead her on a quest financed by a terminally ill multi-millionaire. Of course, the hunt is not without its perils, as religious fanatics are determined to wipe all traces of the panacea from the earth. Wilson is a qualified MD and his knowledge shines throughout the story. The characters are believable, likable, and the story flies along at an alarming pace. I would recommend reading Panacea before reading THE GOD GENE, as there is a large back story which is important for the continuing story. THE GOD GENE begins about a month after the first book. Rick’s brother has gone missing and his erratic behaviour before he disappeared, and a mystery surrounding a previously unknown species, lead Rick and Laura in a search that will, again, pit them against dangers and impossible revelations about the world in which we live. The theme of “outside” influences on the human race again comes to the forefront in this book. 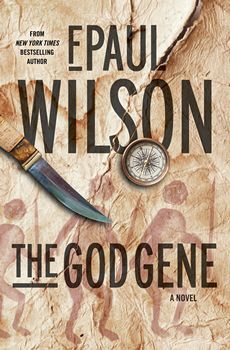 The idea that evolution, miracles and unexplained phenomena throughout mankind’s history is a recurring theme in Wilson’s books, and he handles the disbelief of a modern doctor and the uncompromising fanaticism of religious groups with equal gusto. Influences and story threads from Panacea continue to impact in this novel as the mystery grows. I had become quite jaded with thrillers that all had similar plots where ancient mysteries come crashing into modern life and mayhem and violence ensue. The ICE sequence is different. It looks forward rather than back. 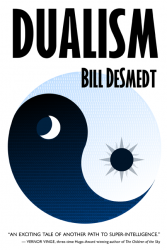 It confronts moral dilemmas and questions mankind’s place in the universe. It poses questions that are difficult to answer. I was lucky enough to get a few questions to the author for The Big Thrill. 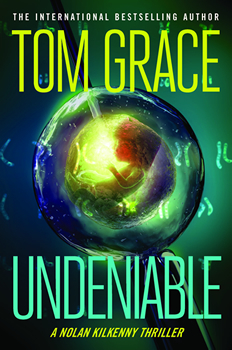 UNDENIABLE, the sixth Nolan Kilkenny thriller from international bestselling author Tom Grace, takes Nolan into the brave new world of reproductive technology, where the building blocks of life are manipulated in a Petri dish, women lease their wombs like rental properties, and money trumps morality. In an age of rapid advances in human genetics, cloning and stem cell research, what seemed impossible just a few years ago is now a reality. DNA has been reduced from a miraculous molecule into a data storage device, and the information it contains is as easy to hack as any computer file. UNDENIABLE is a novel that steps beyond the traditional parent-child relationship into a chilling new reproductive reality. Joel Byram, our smartass protagonist, is an everyday twenty-fifth century guy. He spends his days training artificial-intelligence engines to act more human, jamming out to 1980’s new wave—an extremely obscure genre, and trying to salvage his deteriorating marriage. Joel is pretty much an everyday guy with everyday problems—until he’s accidentally duplicated while teleporting. I believe the scariest thrillers are those rooted in fact. 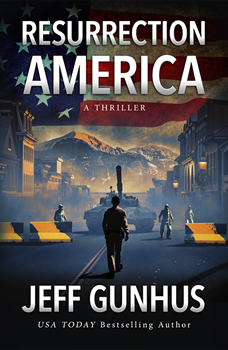 So despite its science-fiction spin, RESURRECTION AMERICA will chill any reader to the bone. As Johnson investigates, the cover story unravels and he discovers the military’s presence and the salvation they offer isn’t what it seems. 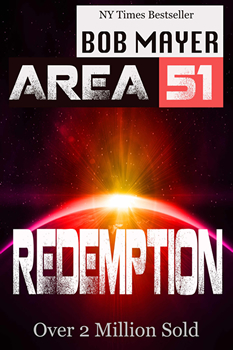 A massive plot is underway, driven by a chilling super-patriot named Colonel Keefer. Christopher Mari: The fact that people have in the past and can in the future work together to successfully complete ambitious projects. We did it before—in abolishing slavery, in World War II, in curing polio, during the Civil Rights movement, landing on the Moon. And I genuinely believe we can do great things again if we set clear goals and apply ourselves. Jeremy K. Brown: I second what Chris said and would add that the book is a reminder that we are all in this together. From coming together to return humans to the Moon to facing the future together with hope, optimism and a better plan for humanity, the book illustrates that we are all united and this little ball of mud and rock is all we’ve got. So we’d better make our stand here and make it count. H.W. 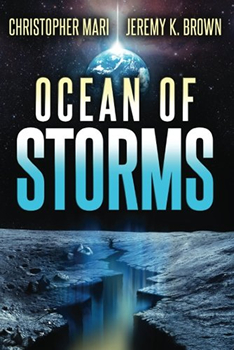 “Buzz” Bernard has just the sort of resume you might expect from an author of weather-related disaster thrillers. He has a degree in atmospheric science, spent a career in the Navy as a weather officer, was a senior meteorologist for The Weather Channel, and has gone in search of tornadoes with professional storm chasers. He has even flown into a hurricane aboard a hurricane hunter, an experience that helped prompt his best-selling thriller, Eyewall. Now, Bernard has decided to shake things up. 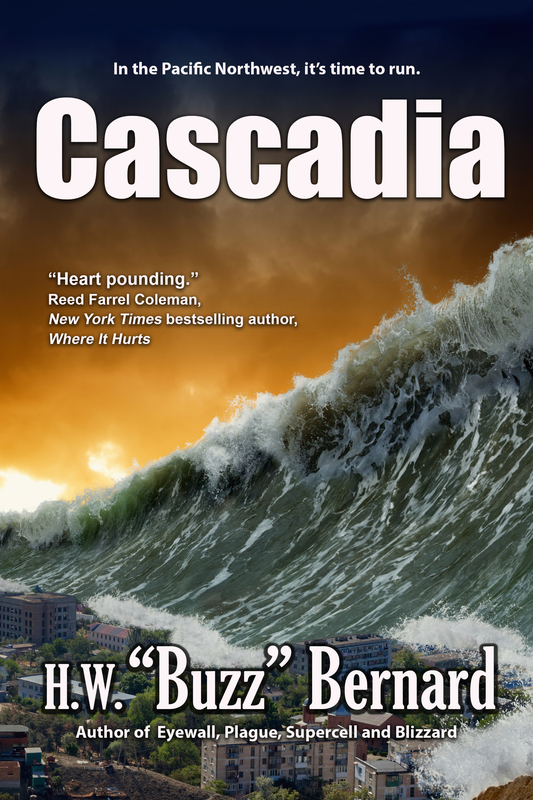 His newest novel is CASCADIA, set in the Pacific Northwest town of Manzanita. The plot focuses on Dr. Rob Elwood, a geologist who makes a startling prediction. Not only will a cataclysmic earthquake strike the region once again, but the event will be followed by an epic tsunami. Elwood knows this from his study of the geological record, which indicates that another “big one” is on the way. Elwood puts his career, and even his marriage, on the line by making a very specific prediction: disaster will strike the Cascadia Subduction Zone over the busy July Fourth weekend. The scariest part of the story may be that Bernard’s book, like his others, is based on fact. “I try to stay within the realm of possibility,” Bernard explained. Much of CASCADIA is based on current geoscience, he said, which points toward a natural disaster much like the one imagined in those pages. Meet Addison Gunn. Military genius. Recluse. And a real tyrant. But, of course, completely fictional. 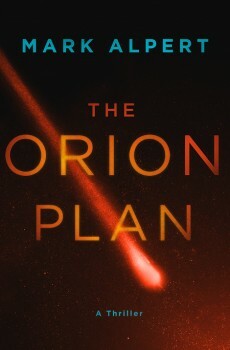 Gunn is the shared pen name of Anne Tibbets and Malcolm Cross, the co-authors of a thrilling new science fiction series featuring jaded military recruit Alexander Miller. 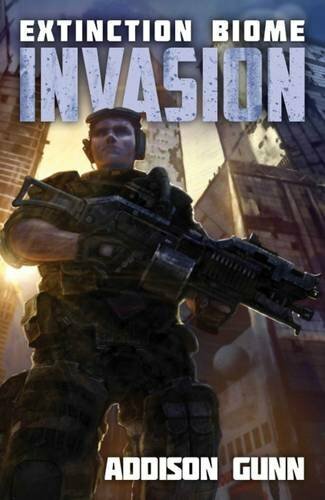 In EXTINCTION BIOME: INVASION, Miller and his men are pulled into service to stop a deadly parasite that is infecting humans, and threatening to destroy the Earth, one eco-system at a time. EXTINCTION BIOME: INVASION is bloody (really bloody! 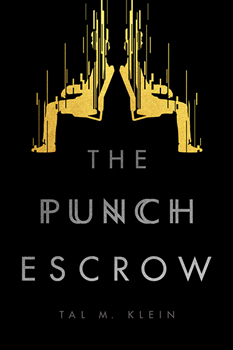 ), action-packed, and science fiction at its finest—everything I’ve never loved in a novel. Until now. 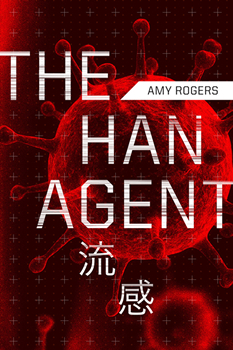 This month, Anne Tibbets talks to The Big Thrill about writing for a tyrant to co-write a thrilling military sci-fi that grabs you from the first page and doesn’t let go until the very bloody end. I really enjoyed EXTINCTION BIOME—but wow! I can’t even imagine all of the research that went into this book. What safeguards have you put in place to insure the government isn’t tracking you? I’m fairly certain the governments of the world have Malcolm and I on some sort of watch list someplace, given the extensive and troubling research that was involved in preparing and writing EXTINCTION BIOME. I am a huge fan of military sci-fi, but I’m no expert and have no personal experience in battle, so I tried to research every detail—from the parts of the weapons, to the number of rounds it carried, to battle strategy, technology and the advancements happening in that field, as well as coming advancements in medical research, touching on parasites, insects, and cult psychology. Given all those Google searches, and all the reading material delivered to my house, I don’t blame the government for keeping a close watch on me. The good news is, I have nothing to hide. So although I should probably be more paranoid, like “Addison”—I mean, Addison is completely off the grid—I’m assuming once the book is released the government will realize I had a theoretical curiosity and not a practical one. By far the grossest part of the research was the discovery of orange oil as an insect repellent, and the medical research I did on the application of said oil to the brain. That scene made me physically gag when I wrote it. I’m not going to apologize however—looking back now, it might be my favorite. In one of Casino Royale’s most memorable quotes, Vesper Lynd tells Bond: There are dinner jackets and dinner jackets, this is the latter. The same principle applies to book series. 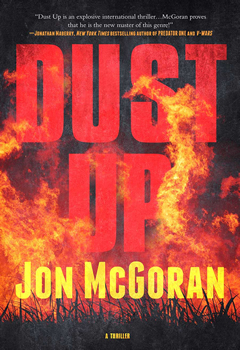 There are book series that cite the previous entries almost on every page, and then there are book series—like Jon McGoran’s DUST UP—that are a joy to read and that stand on their own without depending on the early books. DUST UP is the third entry in the Doyle Carrick series and this time trouble literally comes knocking to his door. Ron Hartwell, a complete stranger, is dying on Doyle’s doorstep. A halfhearted investigation labels the murder a domestic dispute, with Miriam, Ron’s widow, the sole suspect. When Doyle discovers the Hartwells both worked for a big biotech company, he suspects something else is going on, but it’s not his case. Miriam tracks him down and tells him her story, landing them in Haiti. Working with Miriam, he must untangle a web of deceit and unconscionable corporate greed in order to stop an epidemic of even greater evil before it is released on the world. The Big Thrill had the opportunity to catch up with McGoran about his new book. What can we expect from Doyle Carrick on this new adventure? It’s definitely the same Doyle Carrick, but the action unfolds on a bigger stage, the issues he is confronting are more expansive, and the events of the first two books, and this one, are weighing on him. His awareness of larger forces around him has grown, and his world view is changing. He’s seeing things on a bigger scale and losing what little patience he has with the smaller scale BS he has to deal with on a day to day basis. 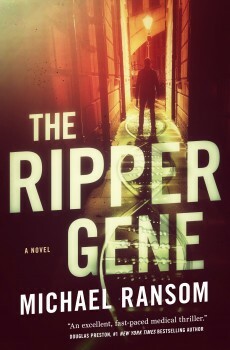 Michael Ransom’s THE RIPPER GENE, as strongly suggested by its title, is the fictional existence of a pattern of DNA that indicates someone has the potential for extreme psychopathy. 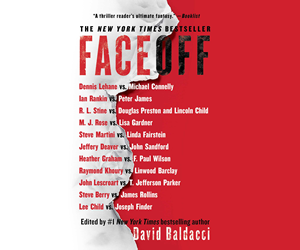 The reader is guided through the story by the protagonist, Lucas, who is not your average sleuth, but an FBI profiler with a scientific background—expect to come across scalpel-edged forensic and medical detail. The entire backdrop of the novel cleverly forms a sinister commentary on the nature of a killer: is murder a biological predisposition, beyond conscious control? Pretty dark stuff, but more fascinating as a result. 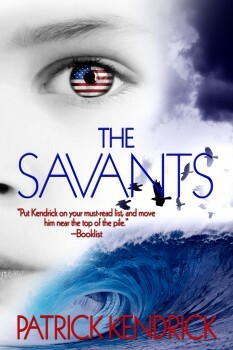 Ransom’s clever writing manages to impart more emotions beside those of the spine-tingling variety. Early on in the book, there is personal loss, which adds a layer of sadness that helps to develop the main character’s motivation. Anger also abounds, along with resulting profanities; for some there may be a little too much heated language, but for others this may positively add realism, tension, and grit. 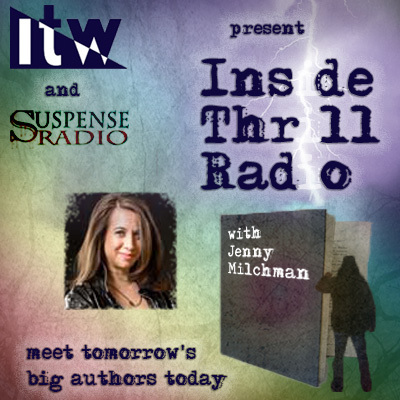 I was lucky to speak to him about the creation of the book and his entry into the world of thriller writing. I think on some level, we all believe we’re going to live forever. There’s a kind of mental block we share that keeps us from looking too far down to the end of that road. I’m not exempt. I’ve always had a suspicion in the back of my mind that I would outlive everyone I loved, that I would survive as everyone around me passed on. Then I held my newborn daughter in my hands. At that moment, it dawned on me that my clock was ticking faster than hers, and that she would see a world that I could only imagine. That’s why I wanted to write what would become THE ETERNAL WORLD. There’s nothing like the prospect of your own mortality to get you thinking about eternal life. In the book, the three main characters are all given a chance to sample the water from the Fountain of Youth. In 1527, a young conquistador named Simon stumbles upon the Fountain and the Native American tribe, the Uzita, who guard it. He betrays Shako, the woman who loves him and saves his life, and as a result, her entire tribe is slaughtered. Almost five centuries later, when the water runs out, Simon hires a brilliant researcher named David Robinton to duplicate it. David is faced with the greatest medical triumph of all time, if he can make it work. He could cure death itself—but only if he survives the centuries-old battle between Simon and Shako. I’ve been very lucky: I’ve had very little direct experience with death. Aside from my grandparents, I haven’t lost anyone I love. And even my grandparents held on long past any reasonable expectations. My grandfather made it to 90 despite heart attacks and a broken back. My grandmother made it to 93. My father is still hammering up drywall in his seventies. My mother does more before breakfast than I manage to accomplish in an entire day. A scientist’s outlandish claims about the true nature of reality are initially met with cynicism by former colleague Jacob Kelley, until darker events unfold that force Jacob to take them seriously as he is thrust into a frantic dual reality where he is both the accused and the investigator. 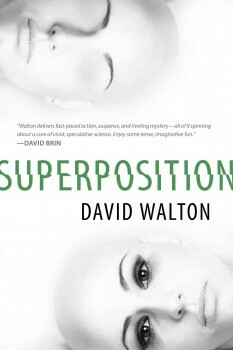 SUPERPOSITION is cleverly written to reflect the quantum world, with parts separated and yet entangled in alternating chapters. This is a truly fascinating approach to thriller writing, allowing the reader a wonderful double view of the entire situation. For example, the story allows us to examine the protagonist’s development in two parallel settings, each providing different challenges to be overcome and thus causing divergent effects. The story’s strength lies in its ingenious structure that neatly unfolds against an impressive backdrop of science. But fear not, this is no academic quagmire, but a readily digestible thriller. So, if you are looking for a unique spin on a murder thriller, this could be the one for you—or your quantum twin. Now, I will hand over to the author David Walton as he answers my questions about the book, the writing process, science, and science fiction. When it pertains to words and visuals, Eric Red has written and directed projects that have become memorable to many generations. People lose themselves in his heart-racing worlds of action, horror, and sci-fi—plots that cause pulse rates to beat out of control. A creative marvel, Eric knows what delivering goose bumps is all about, and now he has brought a new book to the scene—IT WAITS BELOW—that’s yet another notch on his ‘genius belt’ that will have audiences engaged and engrossed until the final page has come and gone. Today, we’re lucky enough to speak with Eric Red about his string of accomplishments, and delve into an imagination that simply doesn’t stop. Let’s begin with the mass question: movie directing, novels, screenwriting, comics… Do you sleep and, if so, where do you get all these incredible ideas? I sleep very well, actually. And my wife tells me nothing wakes me up. It’s hard to say where ideas come from. I’ve gotten film and book ideas at the market, taking a walk, playing with the dog—almost always doing some ordinary everyday thing. As a young man, how exactly did you begin this creative path? I was a total movie, book, and comic geek as a child. Movies, mainly. I dragged my folks to every genre movie that came to drive-ins in Philadelphia or Times Square in New York City…the two locations where I grew up. I also spent all my spare time at stores that sold film stills, comics, and paperbacks. That was before the days of VHS, let alone DVD or Netflix, so if you were a young horror movie fan like me, you purchased fifty-foot 8MM selected scenes of monster flicks and ran them on projectors; or, watched whatever they showed on late night TV. For nearly forty years, Jonathan Maberry has created fiction as a catharsis for himself (at least at first), a mirror for his readers, a microscope for the human condition, and, at times, to offer a laugh that uncorks the pressures of everyday life. He has built a career that includes titles such as author, anthology editor, comic book writer, magazine feature writer, playwright, content creator, and teacher/lecturer. Among his many accolades are New York Times bestselling author, multiple Bram Stoker Awards, and being named one of Today’s Top Ten Horror Writers. With literally thousands of works to his credit, we wanted to learn more about him and his latest novel FALL OF NIGHT. Why do characters like vampires, zombies, and other supernatural beings continue to find themselves at the center of your writing? Zombies represent a massive shared threat—something so comprehensive that it destroys the infrastructure. Everything we rely upon is gone, no help is coming, and we have had our affectations stripped away. What remains, then, for the story is an exploration of people in a crisis. That’s pretty much the core of drama. Because the zombies have no discernible personality—certainly none that impact the story—they serve as the threat that propels the action without drawing attention away from the human experiences of the characters. On a canvas like that you can paint any kind of story, and because the monster is easy to understand, it allows the reader to “get” the level of threat without becoming otherwise distracted. For those who read and write about the living, what unique opportunities does writing about the supernatural give you? What challenges does it present? The supernatural speaks to our core beliefs, the primitive within the shell of the civilized person. Whether we’re talking about the darker aspects of world religion (and remember, demons and Satan come straight out of the Bible), or beliefs in ghosts, vampires, witches, and so on, these are things our ancestors believed. In many cases they’re things people believe today. Even the most skeptical of us wonder if there is a larger and much more complex world than what is concrete and measurable. So telling tales about this larger world is an actual connection point. The challenge in writing about the supernatural and unnatural is to make it interesting to modern, sophisticated—and yes, even jaded—readers. That’s why most of my fiction is built on a scaffolding of 90% realism. That allows the reader and me to get in agreement on many things, so when I open a door to let something fantastical in, the reader is already in the room with me. Ladies and Gents, may I introduce to you Jon McGoran and his newly released Eco-Thriller, DEADOUT. If you are worried about genetic modification, transgenics, cloning, irradiation, and the release of genetically engineered foods into the environment may become a nightmare for the world, rest assured Jon’s got enough real life science mixed with heart pumping action to make your fears leap off the page, then get clobbered. Jon, tell us about DEADOUT. DEADOUT is the sequel to my previous novel, DRIFT. It’s a biotech thriller about genetically engineered foods and Colony Collapse Disorder, which is killing the world’s honeybees. Detective Doyle Carrick is visiting his girlfriend Nola, who is working on a farm on the island of Martha’s Vineyard, and something mysterious starts killing the island’s bees. A biotech company brings in genetically engineered bees that are supposedly immune to Colony Collapse, dividing the island’s farmers. As the protests turn violent, Doyle realizes the bees aren’t the only thing being modified, and he has to figure out what’s really going on and stop it before it can spread to the mainland, and the world. When folks think of thrillers, they easily conjure up pictures of terrorists, spies, cops, and even mad-scientists, but seldom do they think of food, and bees even less. 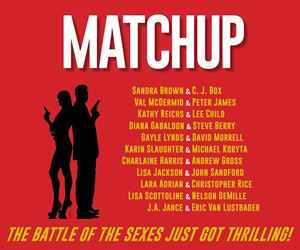 How did you land on this topic as a thriller plot? Thrillers have always drawn on real threats to make their plots more compelling—Nazis, the cold war, terrorists. Today, I see the dangers to our food systems and the environment—and the corporate misbehaviors that aggravate them—as serious and potentially existential threats. And whereas the public has often perceived threats like terrorism as greater than they really are, in these areas, I think the danger is actually under-perceived. Hopefully, the fact that the scary and dangerous issues in DRIFT and DEADOUT are also real will make the dangers encountered by the characters in the books seem more real, as well. A BETTER WORLD is the second book in Marcus Sakey’s Brilliance Saga series, with his newest character Nick Cooper. Marcus was born in Flint, Michigan, and attended the University of Michigan. He mentions that he had two majors, both promptly ignored. He spent ten years in advertising and marketing, which gives him the perfect experience to write about thieves and killers. He is the writer and host of HiddenCity, which can be seen on the Travel Channel. Other books by Marcus include BRILLIANCE, the first book in the new series, as well as THE TWO DEATHS OF DANIEL HAYES, THE BLADE ITSELF, ACCELERANT, THE GOOD PEOPLE, and THE AMATEURS. THE BIG THRILL was lucky enough to catch up to Marcus and ask him some questions. What can you tell us about A BETTER WORLD that is not on the back cover? The Brilliance Saga is the story of an alternate present, a world very much like ours with one fundamental difference: since 1980, one percent of the population has been born with exceptional abilities, akin to savants. Many of the talents aren’t much more than curiosities—able to instantly multiply huge numbers, or play perfectly a song heard only once. But some of them are world-changing, capable of spotting patterns in the stock market, or reading your darkest thoughts from body language. But this isn’t a superhero novel; to me, the brilliants aren’t the point. The point is how the world reacts to them. What would happen if one percent of the population was objectively better than the rest of us? How would society adapt, or fail to adapt? Would we become dependent on them? Would we enslave them? Would they, in fear for their own safety, work against us? Linda Davies explains how she got the ideas that collide to make her novel ARK STORM, and the fascinating and terrifying true-life science behind it. Some years ago, I lived in Peru. Every so often I would escape the mayhem of Lima for Punta Sal, a little fishing village on the border with Ecuador. Hemingway used to fish there for marlin. Framed photographs of him grinning beside his huge catches adorn the walls of the ramshackle bars. I went not to fish but to swim in the sea, body surfing the huge Pacific rollers. Normally you could only stay in for ten or fifteen minutes without a wetsuit because the Humboldt Current kept the waters cold, but one Christmas, the waters were balmy. I stayed in for two hours, marveling at the difference. El Nino had come, bringing with it warm waters. That’s where it is first felt, in the seas off that remote and under-populated border. Typically, the Nino phenomenon is felt around Christmas time and hence acquired its name—El Nino—the Christ Child. The fishermen’s children, playing in the unusually warm waters, knew El Nino had come. As did I. But none of the world’s media seemed to have picked up this event, and did not do so for months. It made me think, what if you or your business had a superior weather prediction system to the competition? With my financial background, I next thought, you could make out like a bandit using weather derivatives. It planted the seeds of a novel. It was a good idea, but not the big idea. As a thriller writer, I’m always on the lookout for a real-life factual nugget around which I can spin a tale. If A. J. Colucci’s latest novel, SEEDERS, is anything, it is timely, especially with scientists’ latest warnings that human-induced climate change will cause even further extinction of both animal and plant life as we know it. Colluci’s answers will surprise you. You are living proof that if a steady diet of horror movies and a career as a science journalist doesn’t prepare you for writing this kind of thriller, then nothing will. Still the premise of this book both surprises and horrifies. How did the concept of SEEDERS come to you? As a small kid, I pulled an Alfred Hitchcock anthology off my mom’s shelf. It was a bunch of scary short stories that were not age appropriate, but my mom didn’t care what I read as long as there was a book in my hands. One of the stories was The Sound Machine by Roald Dahl, about an engineer who invents a device that allows him to hear high-frequency sounds, including the scream of a rose as its being cut by a neighbor. It was so damn frightening and changed the way I thought about nature. So a few years ago, while I was surfing the web and read about all the new breakthroughs in plant signaling, I knew that was going to be my next book. 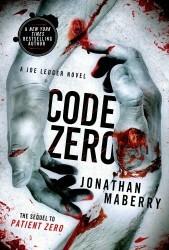 Just try to take a breath while reading CODE ZERO, Jonathan Maberry’s latest novel in the Joe Ledger series, a high-octane suspense thriller that pulls you in from start to finish and never lets up on the action. Maberry is a master at weaving complex, yet tightly woven stories that are full of larger-than-life characters, fascinating science, and the vilest villains. In CODE ZERO, the Department of Military Sciences has been fighting for years to stop terrorists from using radical bioweapons—designer plagues, weaponized pathogens, genetically modified viruses, and even the zombie plague that first brought Ledger into the DMS. These terrible weapons have been locked away in the world’s most secure facility. Until now. Joe Ledger and Echo Team are scrambled when a highly elite team of killers breaks the unbreakable security and steals the world’s most dangerous weapons. Within days there are outbreaks of mass slaughter and murderous insanity across the American heartland. Can Joe Ledger stop a brilliant and devious master criminal from turning the Land of the Free into a land of the dead? Switching gears has worked very well for Jonathan Maberry, who has written everything from plays to comic books to greeting cards. He’s a New York Times bestselling author of eighteen novels and a four-time Bram Stoker Award winner. Besides the Joe Ledger thrillers, he also writes the Rot & Ruin series, the Nightsiders series, the Dead of Night series, and the Watch Over Me series; as well as the monthly comics V-WARS and ROT & RUIN. Two of his novels are in development for film, and another for TV. He teaches Experimental Writing for Teens, is the founder of the Writers Coffeehouse, and co-founder of The Liars Club. Jonathan took some time to talk about his latest book, CODE ZERO, and his prolific writing career. Freeman is a genius with an uncommon mixture of memory, intelligence, and creativity. He lives in a worldwide utopia, but it was not always so. There was a time known as the Grind—when Freeman’s people lived as slaves to another race referred to simply as “Master.” They were property. But a civil rights movement emerged. Change seemed near, but the Masters refused to bend. Instead, they declared war. And lost. Now, the freed world is threatened by a virus, spread through bites, sweeping through the population. Those infected change—they are propelled to violence, driven to disperse the virus. 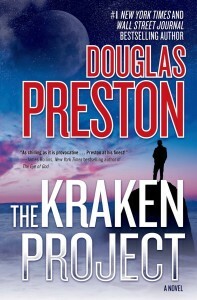 Uniquely suited to respond to this new threat, Freeman searches for a cure, but instead finds the source—the Masters, intent on reclaiming the world. Freeman must fight for his life, for his friends and for the truth, which is far more complex and dangerous than he ever imagined. Tell us about XOM-B in one line. In a near future, post-apocalyptic world populated by freed slaves, a man named Freeman must prevent the return of “the masters” while fending off hordes of zombies and killer robots. A down-and-out thug meets a mysterious woman, and he finds himself dragged into a war between a society of ancient witches and a rebellious faction of assassins. At stake is a genetic secret that could alter the course of human history. 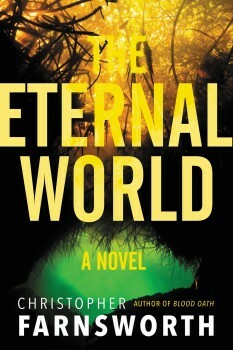 Alpert’s newest thriller blends science, fantasy, and action into a high-octane must read. 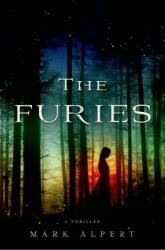 THE FURIES had an intricate plot with a lot of characters with competing agendas. How did you keep track of so many parts? The novel has an unusually large number of characters because the extended family at the center of the plot—the Furies—has been multiplying for centuries. The family is very ancient indeed, dating back to the Neolithic era, and over the millennia the family’s leaders—all women—have used their accumulated wisdom to steer civilization in the right direction during times of crisis. Four hundred years ago, however, the family was nearly annihilated by the witch-hunters in Europe, who recognized that the clan was different because all their women had red hair and green eyes—the classic signs of a witch in pre-modern times. The survivors fled to America and found a hiding place in the wilderness of what is now Michigan’s Upper Peninsula. In the present day, almost two thousand Furies live in the hidden compound of the matriarchal clan, enough to populate a small town. They even have their own government and security force. I thought it would be interesting to describe both the leaders and ordinary folks in this secret community, called Haven. And in any community this large, divisions are bound to emerge, which explains the competing agendas. But it wasn’t so difficult to keep track of all the moving parts because everything is described from the perspective of an outsider, John Rogers, the book’s narrator. John learns about the Furies in a step-by-step way; first he meets the mysterious Ariel in a Greenwich Village bar, then he and Ariel are nearly killed by the Fury named Sullivan and his band of sadistic rebels. Only later does John discover Haven and start to learn the family’s history and secrets. Structuring the plot this way made it easier to tell the story without bewildering readers. 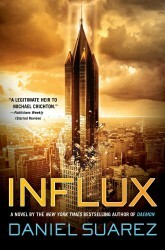 In NEW YORK TIMES best-selling author Daniel Suarez’s latest thriller, INFLUX, particle physicist Jon Grady is ecstatic when his team achieves what they’ve been working toward for years: a device that can reflect gravity. Their research will revolutionize the field of physics—the crowning achievement of a career. Grady expects widespread acclaim for his entire team. The Nobel Prize. Instead, his lab is locked down by a shadowy organization whose mission is to prevent at all costs the social upheaval sudden technological advances bring. This Bureau of Technology Control uses the advanced technologies they have harvested over the decades to fulfill their mission. Presented with the opportunity to join the BTC and improve his own technology in secret, Grady resists, and is instead thrown into a nightmarish high-tech prison built to hold rebellious geniuses like himself. With so many great intellects confined together, can Grady and his fellow prisoners conceive of a way to usher humanity out of its artificial dark age? And can they hope to defeat an enemy who wields a technological advantage half a century in the making? Daniel Suarez is also the author of DAEMON, FREEDOM™, and KILL DECISION. 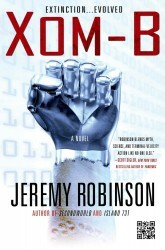 His fiction focuses on technology-driven change. He is a past speaker at TED Global, MIT Media Lab, NASA Ames, the Long Now Foundation, Google, Microsoft, and Amazon. I had the opportunity to catch up with Daniel and ask him a few questions.